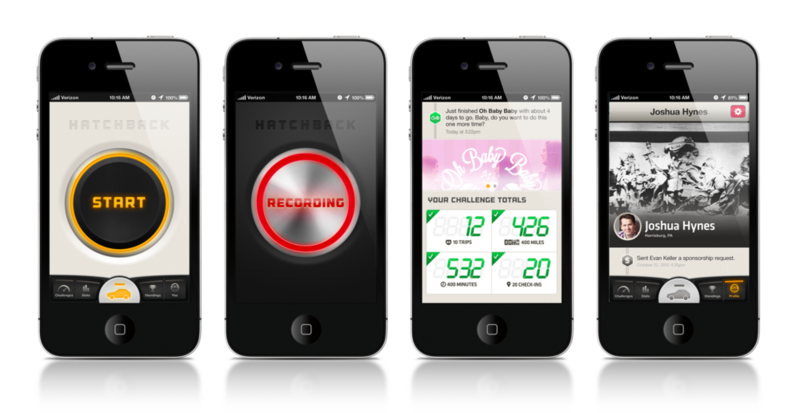 Hatchback was an app designed to combat distracted driving in a fun & rewarding way. Using monetary challenges as a way to engender safe driving behaviors, parents, grandparents and friends could sponsor a teenage driver to complete a challenge. If they did, they would receive the money which was held in escrow for them. My role on the project was to create the identity, map out all user interaction for the iOS-only application, design the iOS website and companion website, and be responsible for all HTML/CSS front-end development.